Deputy president Cyril Ramaphosa preferred to live in his own house in Hyde Park, Johannesburg than move into a state house. 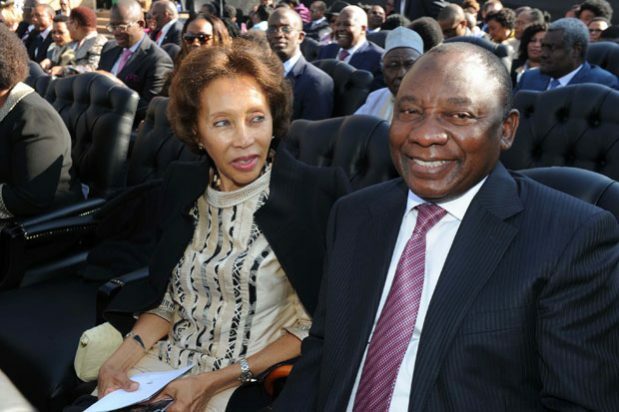 Ramaphosa preferred to use his private home because his family, including his wife Tshepo Motsepe and some of their four children, still lives there, his spokesman Ronnie Mamoepa told the City Press. City Press reported on Sunday that Mamoepa said two neighbours with entrances near Ramaphosa’s gate had been ‘understanding” and “accommodating and relate well with the security detail,” according to the report. As deputy president, Ramaphosa is entitled to use a Victorian-styled mansion in Pretoria as his official residence. Deputy presidents also have the use of the Highstead official residence in Groote Schuur Estate when in Cape Town. There is no official residence in Durban. Ramaphosa is assigned a comprehensive security detail, which includes permanent guards at his home and installation of a guard house, according to the report. He moves with a larger convoy of vehicles than ordinary ministers because he has more VIP protection officers.